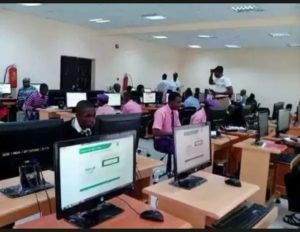 It’s no news that jamb 2019/2020 is going to be a tough one, not only that it’s going to be very competitive because of the vast number of applicants who couldn’t secure an admission last year. Despite the increasing numbers of candidates who will be taking jamb next year there is still chance for you to make it once and for all,it is the dream of every jamb candidates to smash jamb. The average score that a candidate must possess before he or she will be allowed to take post utme is 200. Only few schools allow just 180 for some less competition course. In my own term to pass jamb means you should aim nothing less than 200, this will place you higher than most candidates. Vision : vision is what comes next after passion, I believe we all have a vision of whom or what we want to become in the next 5 years or there about. Direction: direction is another thing you need, most people lack direction in life that why they end up studying any course that jamb throw at time. Once you have a vision to become something in life, don’t lose hope just keep pushing ahead towards that direction. Determination: if you have a vision to become a medical doctor but you aren’t determined then you might end up dropping out from school, universities today are becoming more competitive, you only need to be determined that yes i must have 250 or 300 no matter what. Determination is what makes you to wake up at night to read even while others are sleeping. Sacrifice: you have to forgo old habit, like partying, laziness and all pleasure of life that won’t benefit you. Always remember that your education comes first before any other thing. Drive: always have the drive to succeed, always have that drive to pass jamb, Polytechnics or college of education. always have that drive to study that course you chose. We believe that this article will be of valuable help to you as you prepare to take the forth coming 2019/2020 jamb. Can i get jamb past questions on this site?